Tomorrow May the 4th will be the opening day for our Lounge I Love Italian Food and the new concept Leggende Italiane by Paolo Barichella in Via Dante 14, Milan. During the Week and Food and TuttoFood 2017, we have organised several special moments with show cooking, meetings and interview dedicated to the Italian food. Friday May the 5th at 7 pm, it will be time for Cocktail di Primavera, an aperitivo we proudly support, that embraces passion for food and solidarity: a fundraising to support the projects of Fondazione P.U.P.I. Onlus. Saturday May the 6th at 12pm, we will meet Francine Segan, great food historian, gastronomy and Italian food expert, followed by the cooking show of Chef Andrea Mainardi, from “Officina Cucina” restaurant and popular key player within the Italian TV show “La Prova del cuoco”. Our activities will start again on Monday May the 8th at 2 pm with cooking show of Chef Roberto Valbuzzi, from Ristorante Crotto Valtellina and popular key player within the Italian TV show “La Prova del cuoco”. We will conclude the day with our 100per100 Italian Experience, an exclusive night dedicated to made in Italy with guests, music, food and many surprises: May the 8th at 8 p.m (by invitation only). 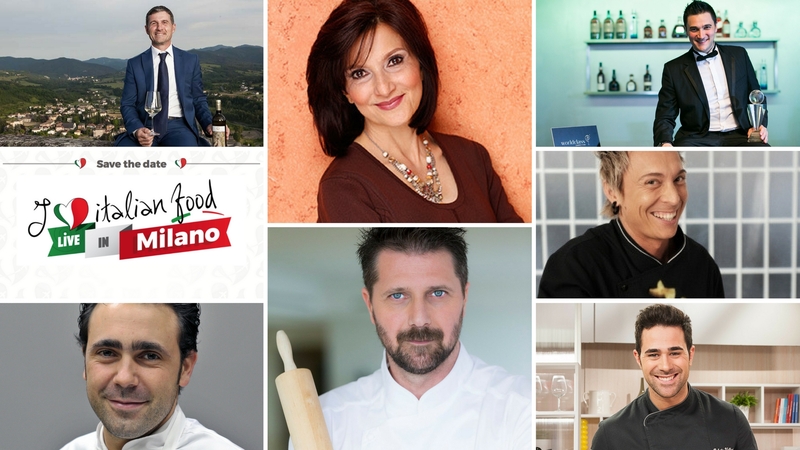 For the whole day on the 9th, it will be time for Italians Do Eat Better at TuttoFood fair. Wednesday May the 10th at 12 pm, we will meet Maurizio Montobbio, President of Consorzio Tutela del Gavi to discover the peculiarities of this amazing Piedmontese white wine. Afterwards at 2.00 pm, it will be time for the cooking show performed by Stefano Callegaro, winner of the 4th edition of Masterchef Italia, followed by Chef Daniel Canzian, from Ristorante Daniel. Last day for I Love Italian Food Live in Milano with the performance of Mattia Pastori, best Italian bartender, for a special morning: Thursday May 11th at 11 am. I Love Italian Food Live in Milano is a project realized thanks to the support of a consistent number of our associates. A special thank to: DHL, Pomì, Moretti Forni, 5 Stagioni, Rotari, Goldplast, Molecola and Casearia Carpenedo.